Please join League members for a celebration of Women's History Month! Sunday, March 3 from 4-6:00 p.m. Please bring an hors d'oeurve ready to serve. Wine and non-alcoholic drinks will be provided. 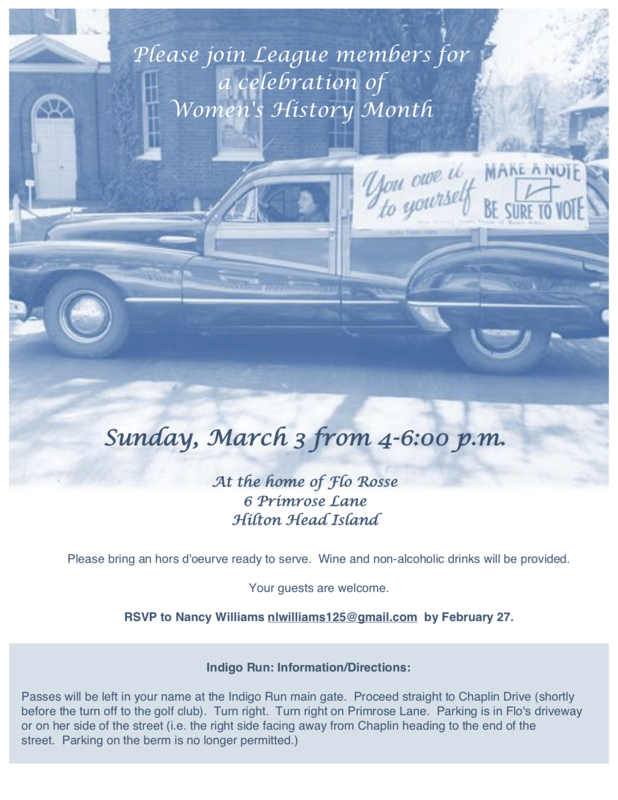 nlwilliams125 [at] gmail.com (RSVP to Nancy Williams) by February 27.